If you’re lucky enough to have family members who tend to write checks or send gift cards on holidays and special occasions, you may want to talk to them about how they can have an even bigger impact on your child’s future. 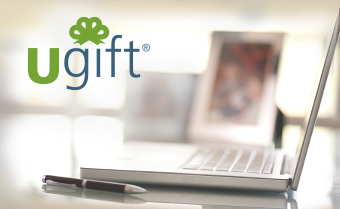 With Ugift, friends and family can use a unique code to contribute to your child’s 529 college savings plan. It’s simple to use. Each of your 529 accounts has a unique Ugift code. To find your code, log on to your 529 account and select the Ugift link. You can email your code to friends and family, include it on party invitations, or share it via social media. Log on to your 529 account and select the Ugift link. On the Ugift page, you’ll get a unique Ugift code for your account. Give this code to friends and family over the phone, in person, through email, on social networks, or on printed invitations. Gift givers can log on to Ugift and enter the code and a gift amount. They can send money electronically or by check. Family support plays a large role in a student’s success in school. Part of this has to do with family expectations. If your family still needs convincing about going with a college contribution over a physical gift, try these suggestions. Start a new tradition. Be the first to contribute to someone’s college ambition. Contribute to your niece’s or nephew’s 529 account every birthday. Once your family members see how meaningful the gift can be, they may reciprocate. Appeal to social sharers. Ugift lets you share codes and information through Facebook and Twitter. Some people like to share when they’ve contributed to a cause or made a special purchase. Let them know they can share information about Ugift. Or share information in a smaller circle. Not comfortable with a Facebook post? Keep it personal by sending an email just to grandparents or that favorite aunt who’s always asking for your child’s wish list. Make it easy for them by including the link and the child’s Ugift code. Get your child on board. Grandparents might be more likely to forgo a wrapped gift if they see a contribution on your child’s wish list. It might be tricky to convince a 12-year-old that it’s worth skipping the newest toy for a long-term investment, but it’s a lesson worth sharing. Thanking gift givers is even more important than when the gift is a toy. After all, they won’t immediately see the joy their contribution brings. As the college years approach, consider keeping givers in the loop about your child’s education plans. After all, they’re invested in your child’s future too. *Elliott & Beverly, 2011. The Role of Savings and Wealth in Reducing "Wilt" Between Expectations and College Attendance. Journal of Children & Poverty.